Very often, team members will only be used on certain phases of the SDLC, whereas staff members who look at the quality assurance or configuration management of the project will be involved throughout the project. Therefore, we see clearly that a project cannot be completed in isolation or as an individual effort. Team dynamics are a crucial consideration when selecting each team member, and each contributes his or her talents to the overall success of the project. Most organizations can maximize improvements in their project performance by simply doing the basics right. 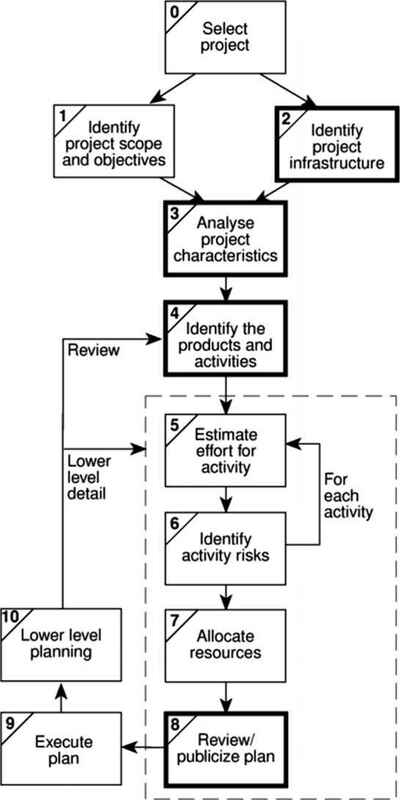 It is not usually necessary to implement a sophisticated project methodology. In fact, if a project manager is being advised or is considering implementing some form of methodology that he or she does not fully understand, typically one of two things happen: Either the proposed approach is too complex, or the organization is not culturally ready to implement it.